Once again I want to say "Thank You" for all the nice comments that were made about our 5 year anniversary. It is your encouragement that helps keep me going each week with this blog. I appreciate all of you who have been with me in this endeavor from the beginning or almost from the beginning and I also appreciate everyone else whether sharing for many weeks, months, years, or just beginning to share. You are all important and help make it successful. If you are new to Spiritual Sundays and would like to share something on your blog by linking it here, please click on Linking Info under the header picture for instructions. 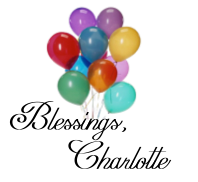 Blessings, Charlotte! Congratulations on five years of hosting this opportunity for brothers and sisters in Christ to share their devotional thoughts one to another. None of us can possibly know how lives have been impacted for Christ through this link-up. The Lord knows, though, and we have eternity to take joy in it! Happy Anniversary and may God bless you for hosting this inspirational place. Happy Anniversary! I have met the nicest folks through Spiritual Sundays...thank you! Congratulations on 5 years of a unique ministry that blesses MANY! Thank you! It's been a long time since I linked up with Spiritual Sundays. Blogging has fallen by the wayside since life for me has gotten so busy. However, I want to share some news—I'm back!! Since you’re a follower of mine at Lights! Camera! Action! I wanted to let you know that I have launched a new photography website on wordpress.com called Judith Riddle Photography. Soon I will be deleting Lights! Camera! Action! so I can focus on my new site. I invite you to come visit me at my new home and become a follower via email. My goal is to begin blogging again on a regular basis and reconnect with you and my many followers. Thank you in advance. Thank you, Charlotte. And, thanks be for all who gather here.